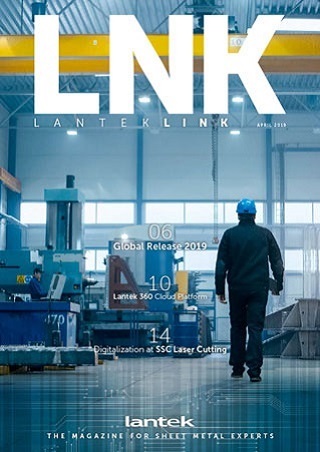 Lantek Expert Cut is a CAD/CAM nesting software designed to automate the CNC water jet programming of a range of sheet metal cutting machines to enable the optimization of costs and processes through smart automation. Lantek Expert Cut provides water jet technology tables for each machine, speed reduction in corners, special piercing and multi-head management, all taking into account the unique characteristics of cutting with water jet technology. Water jet technology tables are specific to each machine. There are up to five different cutting qualities that can be created per material/thickness which also define speed, pressure, abrasiveness, etc. Lantek Expert Cut is able to simulate in 3D the cutting sequence of any water jet machine, providing a powerful tool to avoid undesired behaviors in the real operation. Lantek Expert manages speed reduction on corners to achieve perfect cutting. Adding an abrasive when cutting manages accelerations and decelerations for the chosen cutting quality. Lantek Expert manages specific water jet piercing cycles such as circular loop piercing. The user can configure different parameters in the technology tables such as: number of circles, their radii, and cutting speeds. The system offers multi-torch nesting in both X and Y axes.